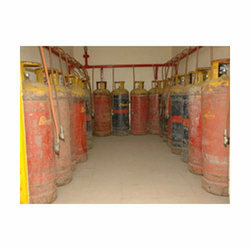 Leading Exporter of lpg lot manifold and gas cylinder manifolds from New Delhi. 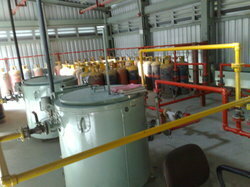 Our clients can avail form us a wide gamut of Gas Cylinder Manifold. These Gas Cylinder Manifolds & High Pressure Reducing Stations are ideal for Nitrogen, Hydrogen, Carbon Dioxide, Oxygen, Argon, Ammonia, Chlorine And Other Gases, Industrial Piping System. These are procured from reliable vendors of the industry after determining the quality of these products. The manifolds and pressure reducing stations are offered by us at affordable prices to attain the optimum satisfaction of our clients. Looking for Gas Cylinder Manifolds ?